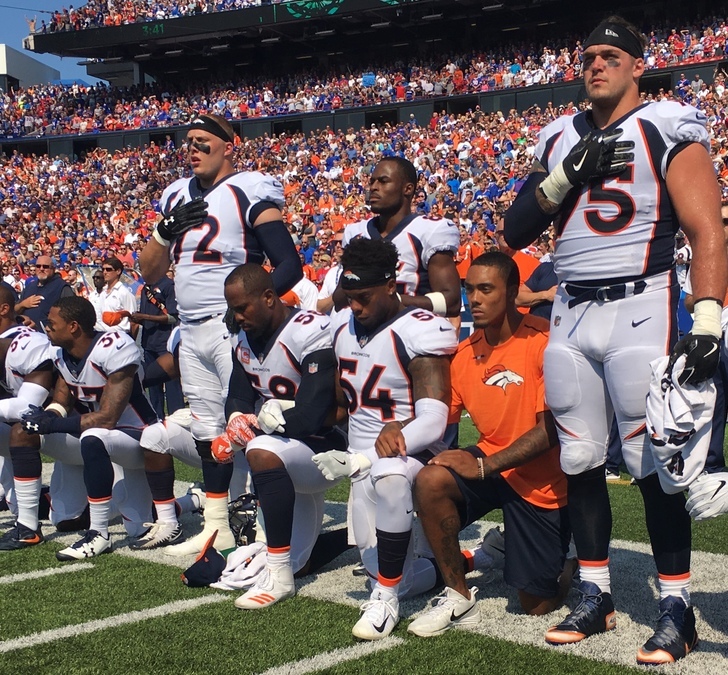 DENVER — Just a day after hundreds of NFL players took a knee, linked arms or sat during the national anthem to protest controversial messages by President Donald Trump, some prominent players are already seeing consequences. 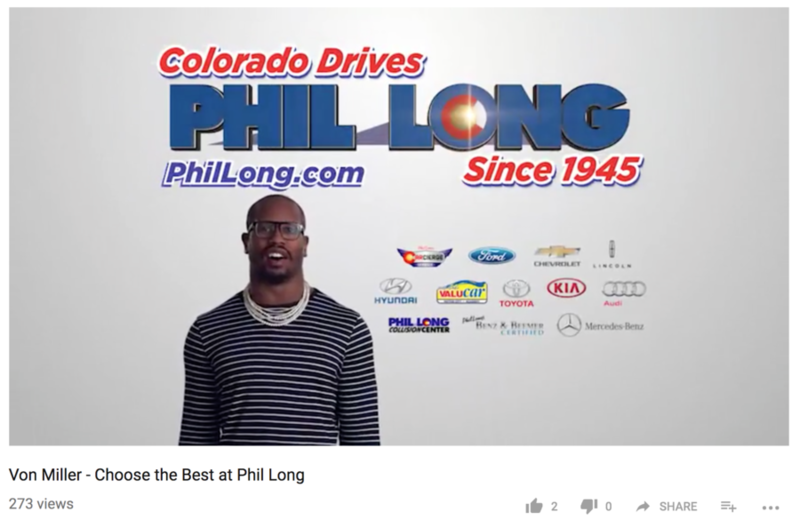 Von Miller, a star linebacker for the Denver Broncos, was one of the players who took a knee — and one local Ford dealership took issue. Phil Long Ford said Monday that they dropped their one-time spokesperson. The move was in line with Trump's calls to fire any player who takes a knee during the anthem. Miller had appeared in several advertisements on television endorsing the dealership, however the the large auto dealer requested their ads be pulled on Monday . The last commercial deal struck between the two groups was in March, but the move on Monday severed all ties. Some of the advertisements which had previously been posted to YouTube had already been removed from the dealership's page. Although the dealership confirmed the move, the company's spokesperson had yet to issue a detailed statement at the time of first publish.